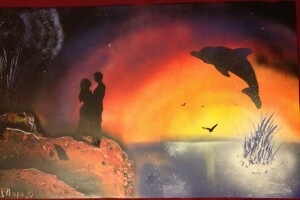 Valentines day is the day of love and you can’t leave your lady feeling unloved. Real men MAKE their woman something for valentines day. 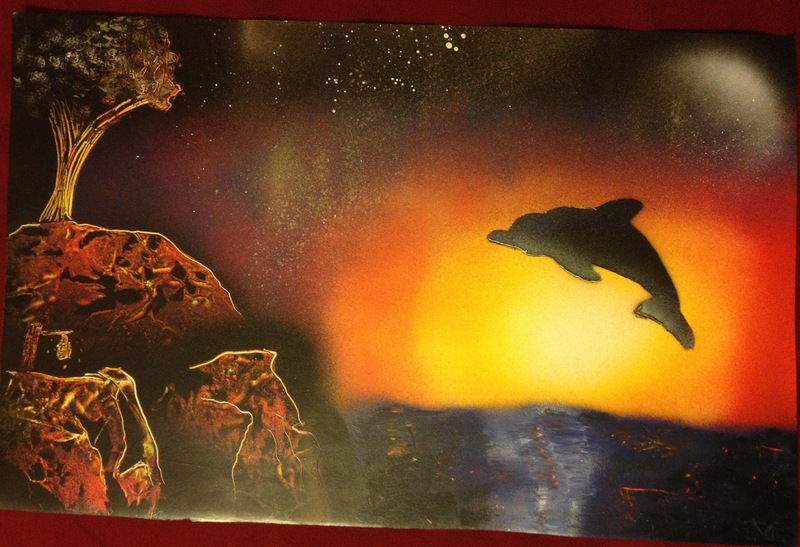 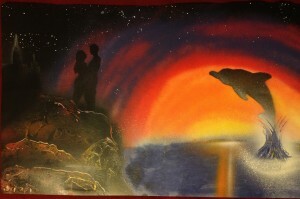 Here are some romantic paintings with jumping dolphins during sunset by the shore.